Can I determine IOPS on a disk array using bonnie++? I would like to measure the read and write performance of a RAID6 array verses a RAID10 array. I understand that bonnie++ can be used to calculate disk performance, but the numbers produced by bonnie++ don't include terms like 'IOPS'. These days, many of the disk performance articles and howtos mention 'IOPS'. How can I use bonnie++ to calculate the IOPS of a disk array. How can I ensure that my tests are testing the actual I/O of the disks and not the system cache? 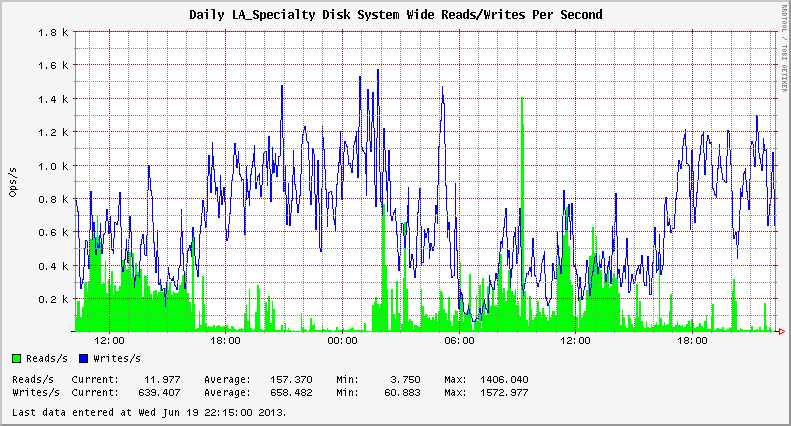 Here are some sample statistics from one of my servers. Will one of these fields report a number similar to IOPS? Different tools display this information in different ways. The terminology isn't consistent. I don't think you should use bonnie++ alone to determine IOPS. Or if you do choose to use it (or another tool like iozone), you can meter the activity with any number of utilities to capture I/O operations-per-second. P.S. By default, bonnie++ will use file sizes twice as large as the amount of installed RAM to limit/eliminate the caching effect. I use orca for this purpose. 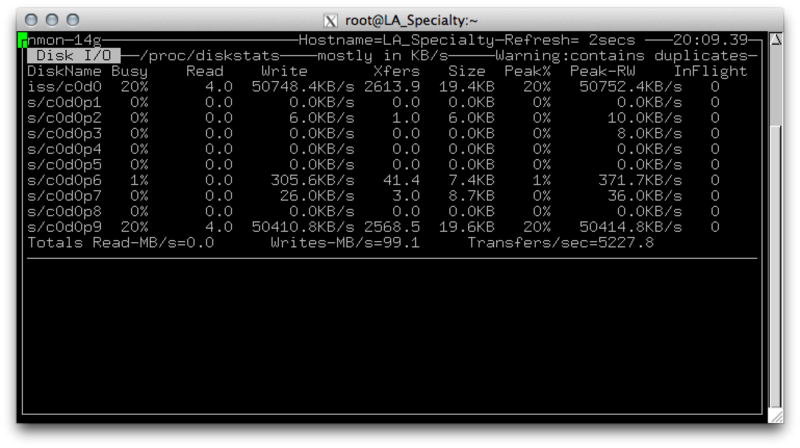 This system averages 816 combined read/write IOPS. collectl - look for IOs. Split into read and write. The sum equals IOPS. nmon - Look for Xfers. Not the answer you're looking for? Browse other questions tagged storage iops or ask your own question. perfmon reporting higher IOPs than possible? Calculating IOPS for a single HDD - what am I doing wrong?